I tried searching and looking in the FAQ but do not see the info. Is max level still set at 50? It seems low for two full games so i am curious. 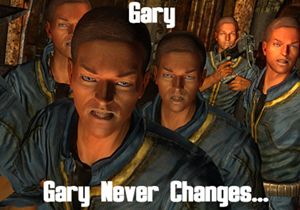 We don't alter anything from FNV unless necessary. So the Max Level is still 50. There are mods to alter the limit and there are mods to alter how much exp the character receives. So it's not necessary for TTW to make such change. FO3's max limit was 30, so 50 seams reasonable. But we made a reduced XP plugin and also Perk Per Level to offset this. With such a content I think its better to increase the max level even to 100. Anyway fallout fans can kill even the most strongest enemys with 3 shots with the right build even at level 10, So the more levels are just for fun or make the game less annoying, (like run faster or reload faster or increase weight limit) and they dont make the game too much unbalanced. Anyways, what mod that increase max level can you recommend that will NOT brake the TTW and I can use it without fear? Edit the gamesetting iLevelsPerPerk to 2 in either G.E.C.K. or FNVEdit. Just remove the GameSettings branch from my mod using FNVEdit (XEdit). The iMaxCharacterLevel game setting is done via a script at runtime so removing the GameSetting section from my mod would be the best way to null the iLevelsPerPerk while still leaving the iMaxCharacterLevel functional.